We wanted feedback—we got it! There was a Version 4.1, with a radically different layout, then Versions 5 through 7 were back to the original concept. Then there was a Type II, again with a very different L-shaped footprint. windows for lower level offices? move ground nursery to the east by northeast bedroom, with bedroom now moved beside kitchen still in bedroom block, perhaps as adult single. Squash dorm bath to only one shower, toilet, and sink. 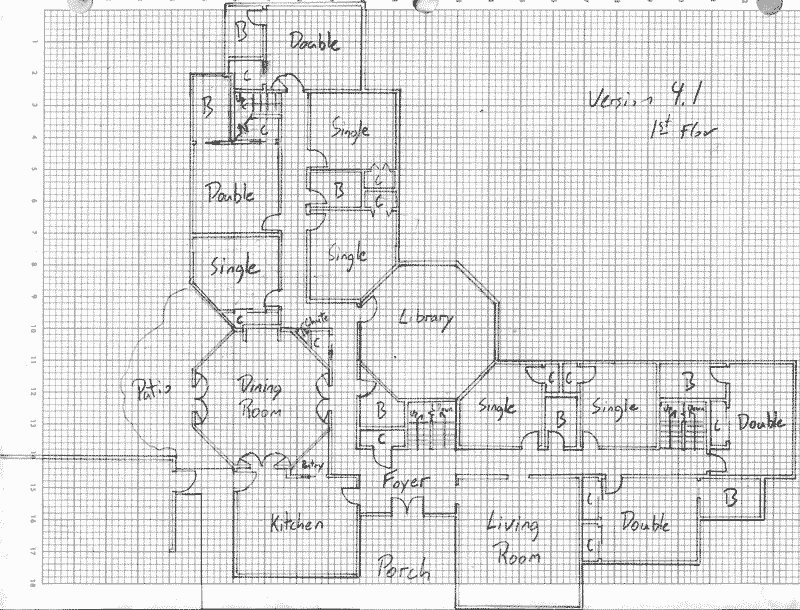 Perhaps use the extra room to move stairs south and put moved kid bedroom north of them. move upper nursery to same place, where current dorm bath is. Expand west kid bed to an adult single with private bath. 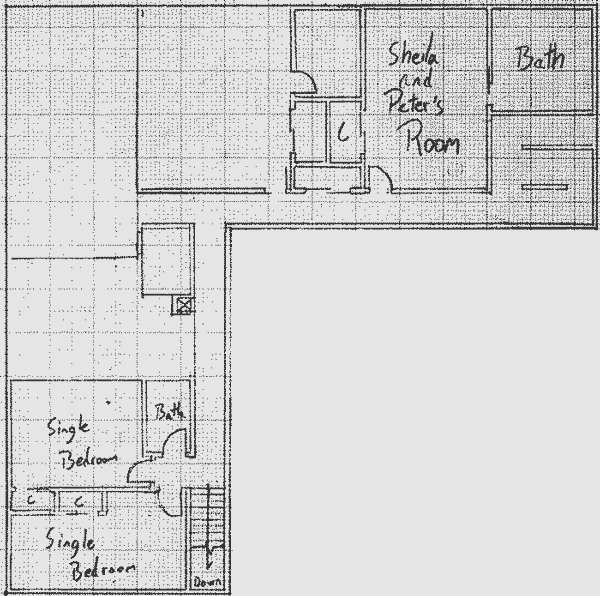 Put simpler bath (one shower, toilet, and sink) south with four kid beds nearby. Perhaps leave it dorm size. indicate attics and foyer upstairs. how to attach pantry to kitchen? 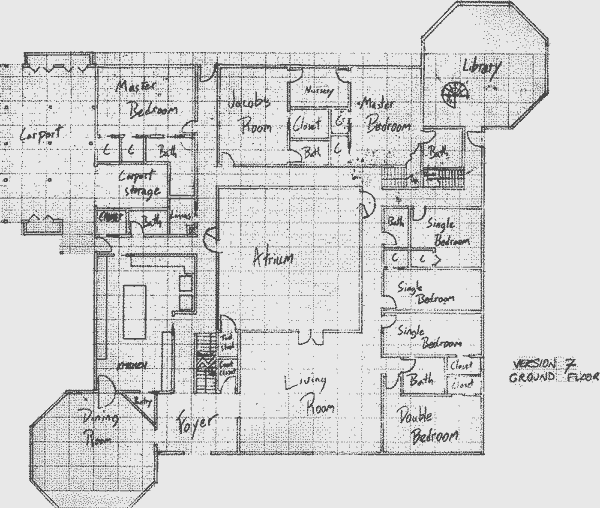 Perhaps move stairs east, change tools to bathroom, pantry to tools, pantry in south west of kitchen, carport door south of it, closet in place of bath.